This client has a funky shaved cut on the sides and back of her head. She chose this daring colour to match the blonde colour of her natural hair. 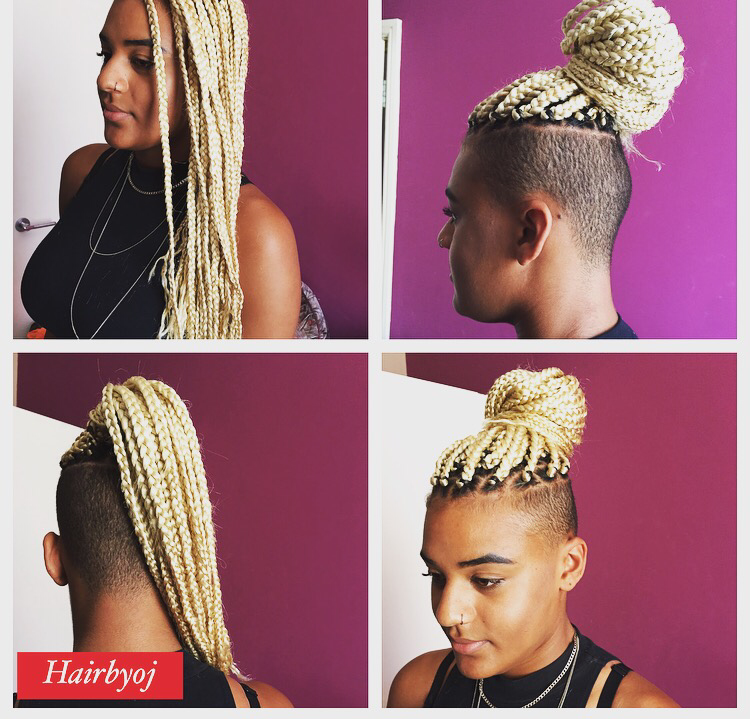 Although only a section of her hair is braided, the client can still achieve a variation of styles- some of which are shown above.